The list is long when it comes to tourist attractions in and around Berlin. 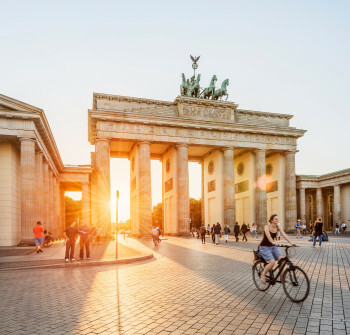 Between famous attractions in the centre, hidden gems, and highlights across the districts it is hard to decide where to go and what to see upon your trip to Berlin. We have compiled a list of the five top destinations that are must-dos for everyone. © visitBerlin, Foto: Dagmar Schwelle Brandenburg Gate at Pariser Platz is arguably Berlin's most important landmark. Going to Berlin without seeing the Brandenburg Gate - impossible! The city's most important landmark is located on Pariser Platz, and is a symbol for German reunification. Berlin's only remaining city gate is also one of the most beautiful structures of German classicism. Its most striking element is the Quadriga with its four horses, crowning the top of the gate. Pariser Platz is worth a visit in itself. Besides Brandenburg Gate, you will find elegant urban villas, and a number of embassies. © visitBerlin, Foto: Dagmar Schwelle The centre of German politics: Berlin's Reichstag with its modern glass dome. Berlin Reichstag at Platz der Republik is an equally important landmark of the city. No other building is connected to Germany's history so deeply. The glass dome and roof terrace are open to visit free of charge. If you want to find out even more about the Reichstag, sign up for a 90 minute guided tour. Those who are interested in politics can also take part in a plenary session. Tip: try to visit the Reichstag during the week if possible, as it gets rather busy on the weekends. © visumate From Ampelmann bar at James-Simon-Park you enjoy a grat view of Museum Island and Berlin Dome. River Spree is home to one of the most important museum complexes in Europe: Museum Island in Berlin's city centre. It was named UNESCO World Cultural Heritage site in 1999, and features five different museums: Altes and Neues Museum, Alte Nationalgalerie, Bode Museum, and Pergamon Museum. 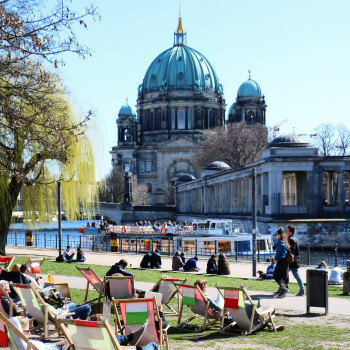 Find out more about Museum Island's history, its unique architecture as well as the museums' highlights with a guided tour of the island. 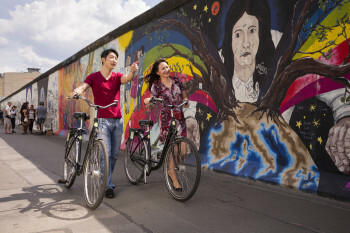 © visitBerlin, Foto: Philip Koschel East Side Gallery is the largest open air gallery in the world, and an important piece of German and Berlin history. East Side Galleryis a unique piece of German and Berlin History. It is the longest remaining section of the Berlin Wall that separated the city's East from the West until 1989. With over 100 paintings, artists from all over the world turned it into the longest open air gallery in the world. Most famous images at East Side Gallery include Dimitrji Vrubel's Fraternal Kiss, or Birgit Kinder's Trabant breaking through the wall. No other place represents Berlin's free spirit as much as this. 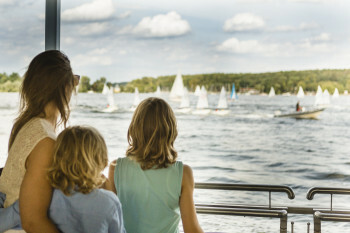 © visitBerlin, Foto: Thomas Kierok If the weather is nice, don't miss out on a trip to Wannsee when you're in the area. Numerous lakes in and around Berlin provide an abundance of leisure activities for water lovers and people looking for rest and relaxation. The largest and most important one is Wannsee in Berlin's west. Enjoy the view even on your drive there, as you follow the road Havelchaussee along the waterside. 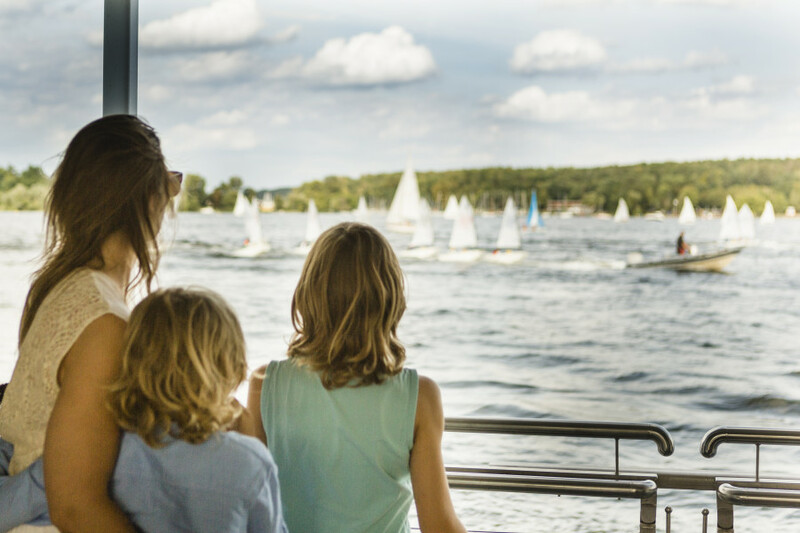 There are many possibilities of spending your time at the lake: go on a boat tour, try different water sports, or simply enjoy the water and the sun as you (sun-)bathe at the lido. 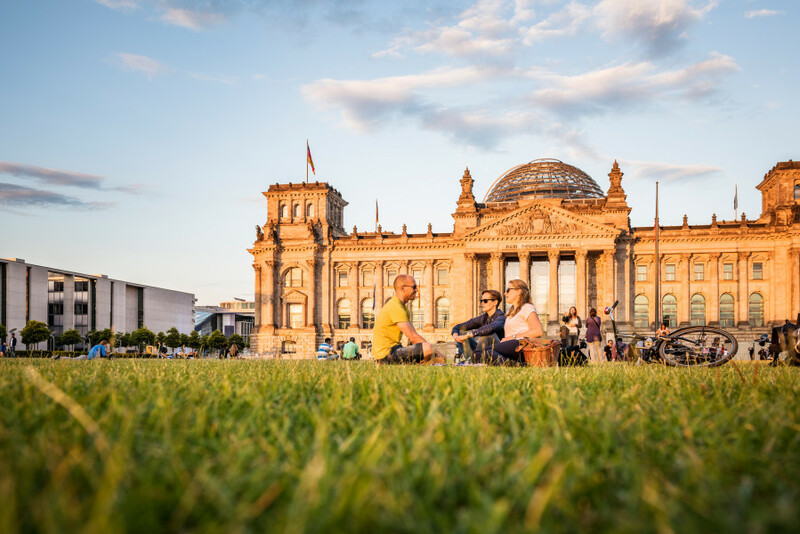 The German capital has a lot more in store for you than these of course! Let us show you what else there is to do in Berlin.